Bolder Options has appointed Nick Chimerakis to the Board’s Finance Committtee. I'm looking forward to the next phase of involvement by serving as a member of Board's Finance Committee, where I will be helping set strategic priorities for the organization and ensuring its continued financial health. 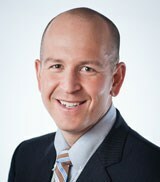 Nick Chimerakis, of Minneapolis MN, is Sr. Planning & Tax Advisor for White Oaks Wealth Advisors Inc. where he oversees the family office accounting functions and provides tax and financial planning. Nick graduated from the University of Notre Dame with a Bachelor of Arts and Bachelor of Business Administration. Nick obtained his CPA certification in 2006, his CFP® certification in 2013, and also holds a Master of Business Taxation degree from the Carlson School of Management. He is a member of the American Institute of Certified Public Accountants and the Minnesota Society of CPAs.